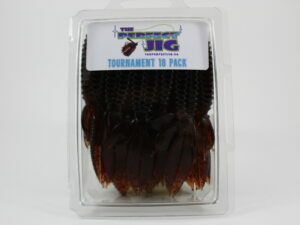 This tournament Grade 97% pure tungsten jig now allows anglers to fish their favorite size and colour in a smaller and more compact form. Hand crafted and wire tied skirts, strong trailer keeper and stout weed guard makes for the right ingredients on our Perfect Tungsten jig!! Tungsten is much more dense than lead meaning your jigs can now be the same weight, BUT in a smaller size and profile. 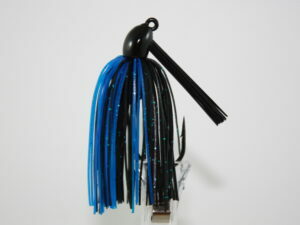 Eg.. a 3/4 oz tungsten jig is the same size as a 1/2 lead jig in profile!! It provides increased sensitivity, and the elongated head allows it to slide into that really thick cover way better and with less hang-ups. 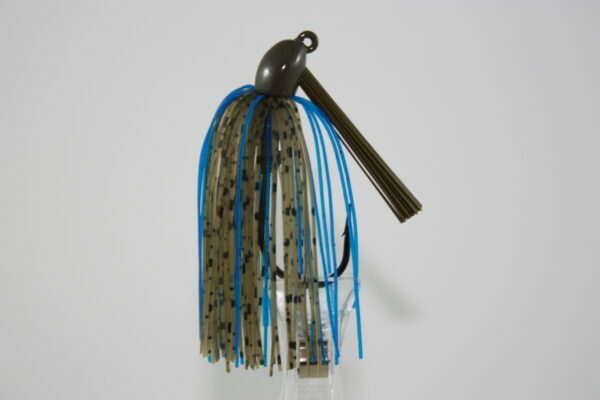 The 3/8 jig is made on a 3/0 mustad hook, and the 1/2 & 3/4 are poured on 4/0 hooks. 8 colours and three sizes to choose from.